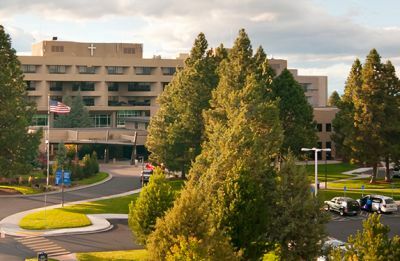 BEND, OR -- After more than six months working under an expired contract, and 26 negotiation sessions, nurses at St. Charles Bend reached a new labor deal with the hospital over the weekend. Both sides call compromise that was finally hammered out in a marathon two-day session, which ended 1 a.m. Saturday. Details were released Monday. Kevin Mealy, with the Oregon Nurses Association (ONA), says the agreement addresses concerns about patient care, "What we see in this agreement is commitments to limit floating, so that the right nurse is in the right place at the right time; we’ve seen commitments to add some shared governance structure, where it’s 50% representation from direct care nurses and 50% nurses from managers. And, it really gives direct care nurses a voice in changing that care." Mealy says it also provides yearly pay increases for nurses to address the rising cost of living in Bend, while giving the hospital financial flexibility, "Nurses will see between a 2-4% wage increase per year. But, in year three that’s going to be linked to the consumer price index. So, if the cost of living goes up significantly, nurses’ wages will go up a little more to try and keep pace; if it stays flat or goes down, nurses won’t make as much." And, he says, nurses accepted increases in the cost of their health benefits. The new labor contract stretches through December of 2022. "[It's] A four and a half year-long contract, which is unusual in negotiations. But, I think it speaks to both sides’ willingness to work together and find ways to give those upstream solutions that we’ve hammered out in negotiations time take effect and to see the improvements in patient care as time goes on." It still must still be ratified by a majority of the more than 900 nurses represented by the ONA. Mealy expects that will happen in the next two to three weeks. An informational picket scheduled for next Monday has been canceled, but a food drive planned to coincide with the demonstration is expected to still take place.